Oh geez, did Mantel Monday sneak up on me or what?! I was enjoying my morning cup of joe when I realized, hello, I'm supposed to be showing you guys a new mantel today. Duh. Luckily, I do have something semi, kinda (but not really) new on my mantel today. Okay, who am I kidding? 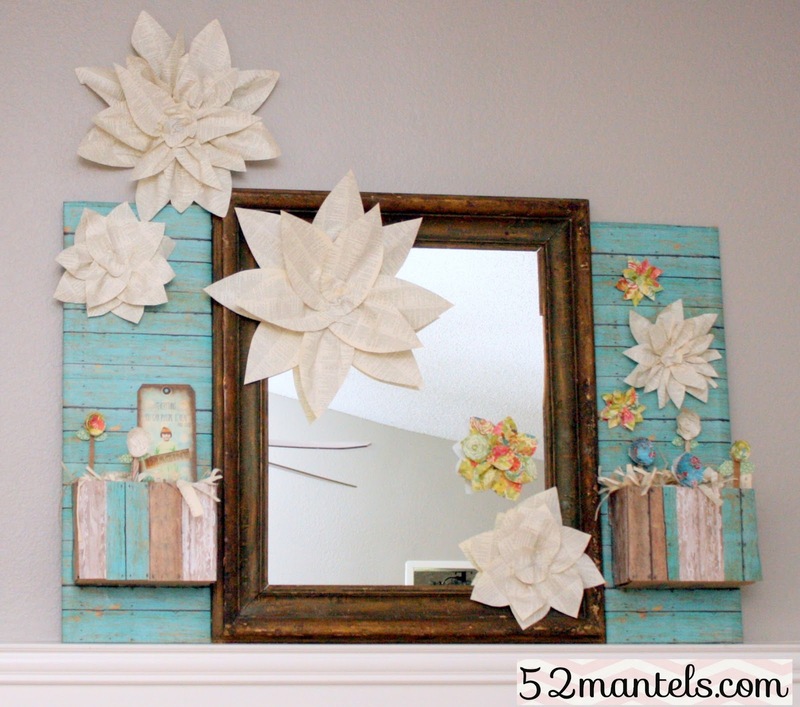 It's just my paper mantel stuff, placed in a slightly new way (I did add a mirror, I'd like to point out!). But, it'll have to do. And, guess what? I'm definitely counting this as one of my 52. So there. 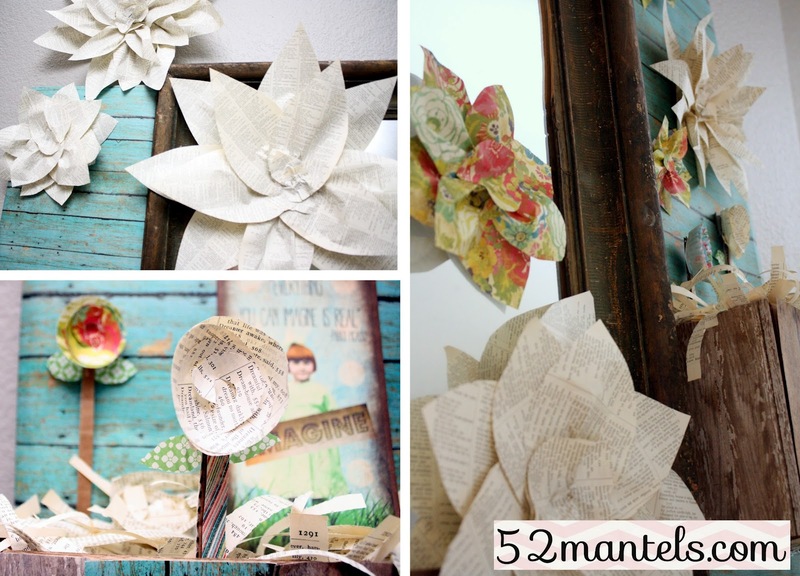 The tutorial for paper flowers can be found here. And, the other paper details can be found in my original paper mantel post. 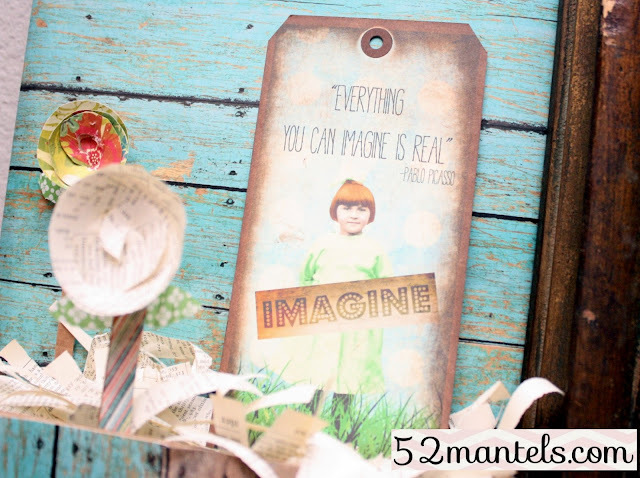 I just love this little sign that says Everything You Can Imagine is Real. Isn't it fitting for a mantel scaped in (mostly) paper products? I think so. See you tomorrow! Hopefully a little brighter and a little earlier. Love! The mirror is a perfect addition. Love this mantel! So pretty -- the blues are perfect for summer! :-) Happy Monday to you! I have a question for you....I don't change my faux mantel as often but do like to decorate for the holidays and seasons...but how do you store all of your decorations? I am trying to find good way but everything is always different sizes...so there is no real "one size fits all" storage bin, etc.